A new study out of the University of California suggests that women who have cataract surgery have a much lower risk of premature death. Researchers involved in this study took a look at over 74,000 Medicare claims from women above the age of 65. In this study sample, 41,735 received cataract surgery. Study authors note that women who had a successful cataract surgery also had a 60 percent lower chance of death than women who didn't have the procedure. Researchers say these women had a lower risk of death from both specific diseases and general causes. Since this is the first study of its kind, it's not clear whether there's a direct correlation between the cataract surgery and a decreased risk of death. Also, doctors aren't sure if these results would be the same if they used a sample of male patients. In their published report, doctors say there needs to be more research on this topic to better understand the link between cataract surgery and patient longevity. No word yet whether these doctors will conduct another meta-analysis in the near future. The Women's Health Initiative (WHI) provided the University of California with all the Medicare data used in this study. For those who don't know, the WHI is a major observational study on women's health issues initiated by the US National Institutes of Health in 1991. Cataracts are currently the leading cause of blindness around the world. This extremely common eye disease occurs when a person's eye lenses are clouded over. The major warning signs of cataracts include blurred vision, seeing halos, and difficulty seeing in dimly lit places. Eye doctors can, however, detect this disease before any visual symptoms appear. In cataract surgery, an eye surgeon replaces a patient's cloudy lens with an artificial lens. 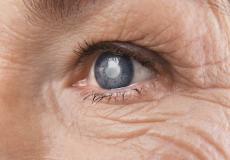 Over 50 percent of Americans over the age of 80 have either had cataract surgery or have cataracts. A few of the head authors of this study include Doctors Victoria L. Tseng, Fei Yu, and Rowan T. Chlebowski. You can read their entire study in the October 26th, 2017 edition of JAMA Ophthalmology. Study authors listed this article under the title, "Association of Cataract Surgery With Mortality in Older Women Findings from the Women's Health Initiative."